With the Monthly Retail System, you have the opportunity to dramatically cut your initial business expenses while getting the performance of a full retail POS system. 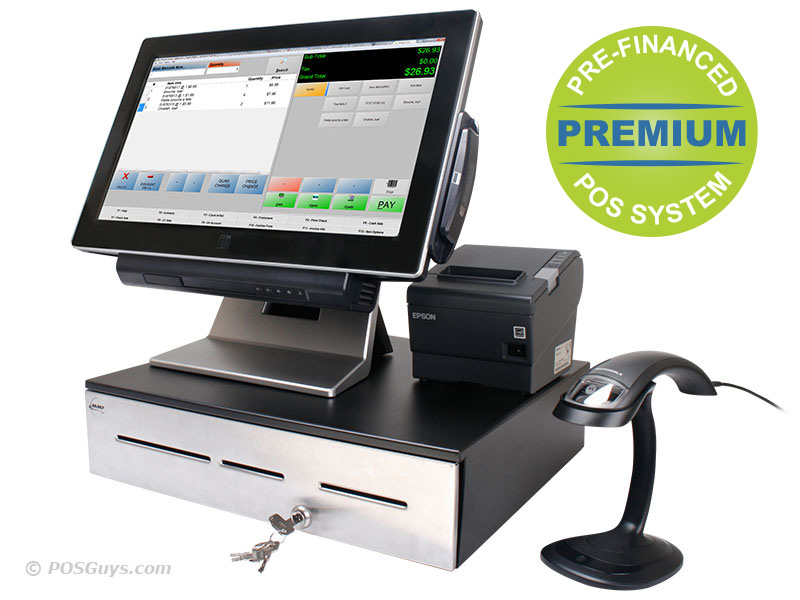 We are offering our Preferred and Premium Retail POS Systems at a monthly price. These systems have the most value built into them and are built to last. 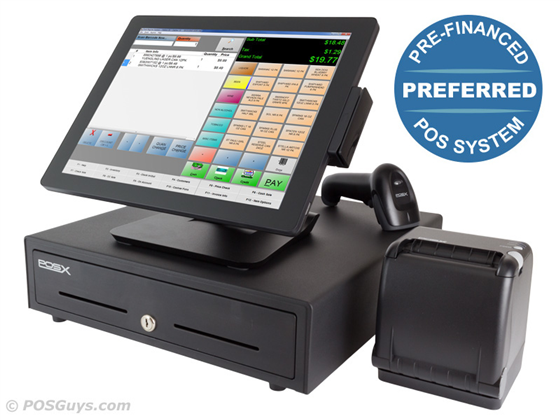 Both systems include an all-in-one touchscreen computer, easy-to-use barcode scanner, a thermal receipt printer, and a durable cash drawer; all designed for counter space optimization. The hardware is designed to not only run the software, but they are also capable of withstanding the natural bumps and bruises incurred in a retail environment. All hardware and software will be fully supported for the length of the contract, including any software updates. 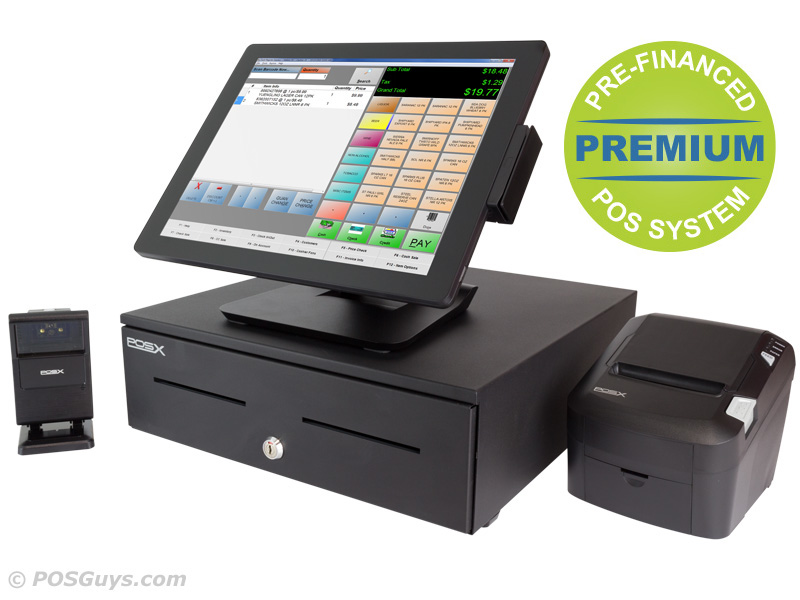 After just 36 months of payments our Point of Sale system will be yours. 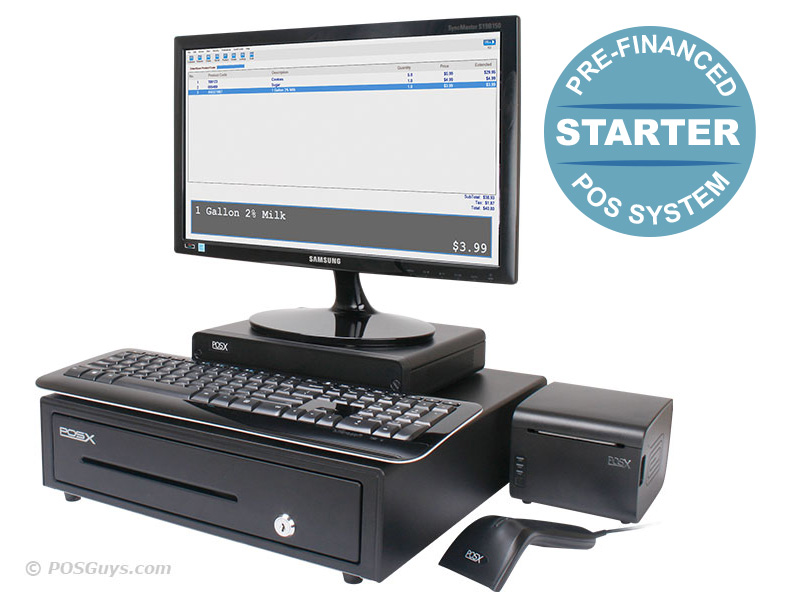 Rather than pay for the system in a lump sum or be subject to a credit card's high rates, this retail POS system is paid in small monthly increments. Our helpful Sales Team will walk you through the whole process of selecting your system and submitting your application for financing. Upon approval, the equipment will be set up by our in-house tech team and shipped to you, ready to plug in and begin adding ease and security to your business place. 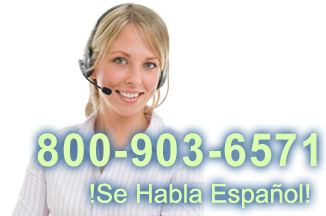 *If you don't already have a credit card processor, are just starting out in the industry, and are looking for the best rate, then fill out the Sterling application as a financing solution. * For more information contact our sales team. Startup costs for a retailer can be massive, choosing a Monthly Payment Retail System allows you eliminate a major up-front cost while giving you the efficiency and accuracy of a complete POS system. This system option eliminates a major headache many first-time retailers experience. Find it faster! Click here to compare Retail Monthly models by feature.